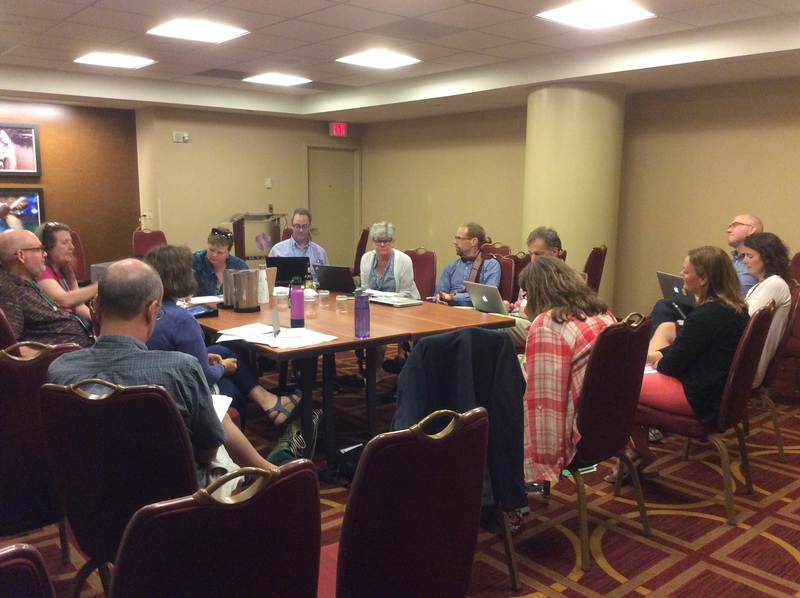 This year, the business meeting was held for 1.5 days before the CUR Biennial Conference. 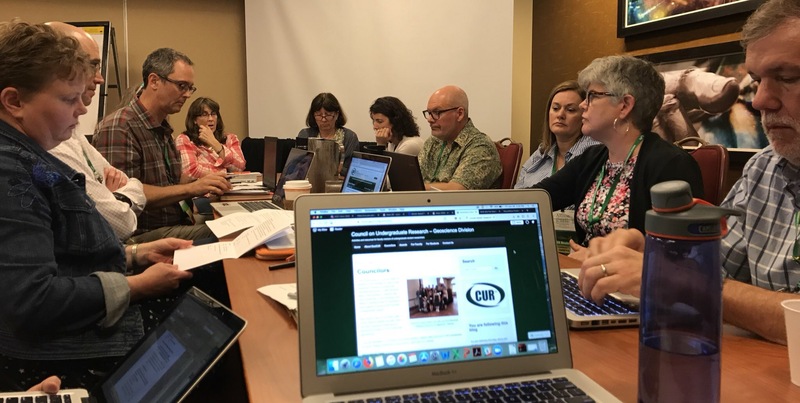 As an elected councilor of the Geoscience Division of CUR, I attended the meeting to work with geoscience colleagues from across the United States on developing our mentoring programs, mentoring awards, conference workshops and sessions, and so much more. One of the lunchtime sessions during the business meeting addressed advocacy for undergraduate research (not the same as lobbying). As I’m working with our Library on campus in helping students learn how to advocate for issues they care about through postcard writing, I was pleased to see and hear the importance of having students tell stories about their undergraduate research experiences. This is something I’m going to be bringing back to campus and implementing in the fall – having the students (not me) tell their stories of their own journeys into undergraduate research. This year, alas, marks my final attendance at the business meeting, as after 15 years of serving as a councilor, I’m rotating off the council. 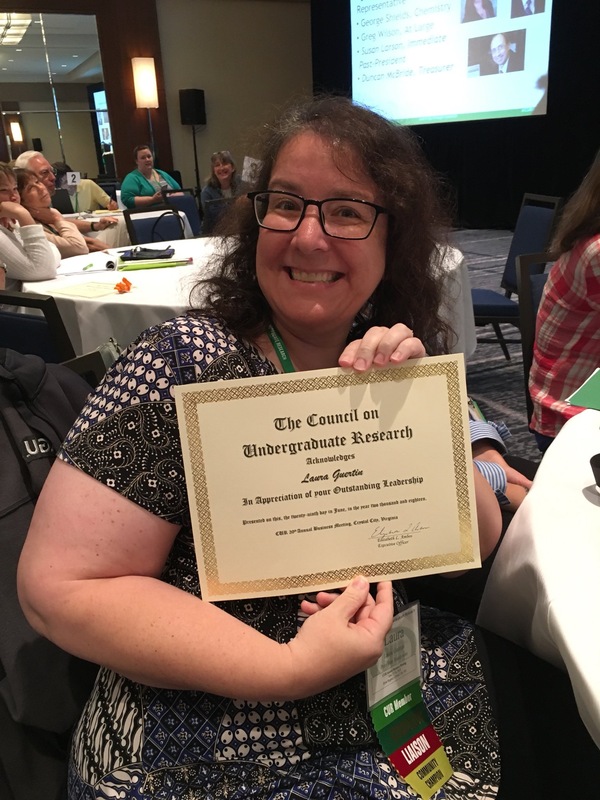 I’ll still be an active member of CUR and still collaborate with the geoscience councilors (after all, I’m still overseeing the division website and Twitter and Instagram accounts – you should check them all out!). I would also love to jumpstart again our podcasting series, Voices of Undergraduate Geoscience Research, where students share the science of their research and experiences going through the research process. 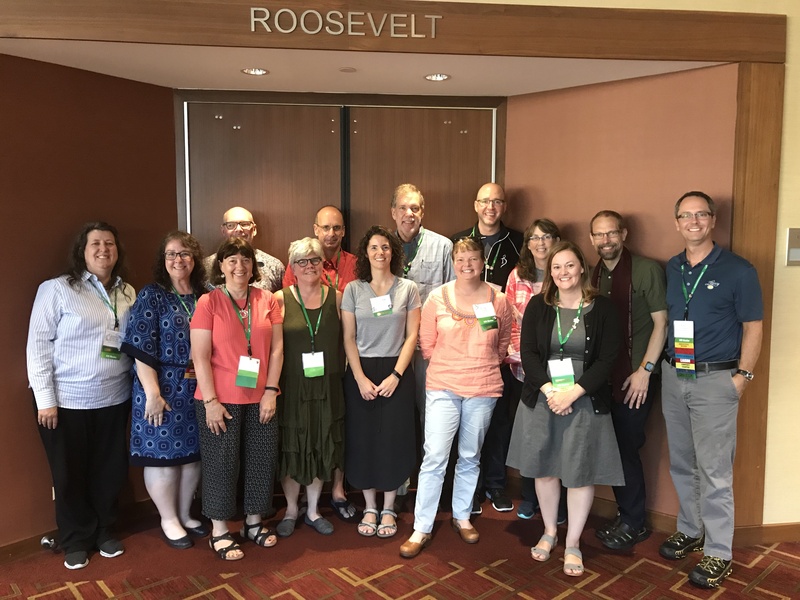 These GeoCUR Councilors, past and present, have played such an instrumental role in my own professional development and mentoring me as a teacher, researcher, mentor, and leader. Fortunately, they are all just an email or Zoom session away, and I’ll see them at future discipline conference meetings (next up for me to connect with GeoCUR – the American Geophysical Union meeting in DC in December! ).